Perfect for any rental marker, this paintball is formulated to suit the season, giving the field operator the quality required all year around. The virgin gelatine shell is recognised for its durability and the fill has a thin consistency making the cleaning of the kit at the end of your event quick and easy. All bright marking fills that clearly marks the player. Celtic premium Field is sold to the trade only, so to protect the field operators. Celtic Recreational Paintballs are formulated for the recreational/scenario player to ensure you take your game to the next level. Celtic Rec has a foliage penetrating shell with a bright marking fill. This virgin gelatine 0.68 calibre paintball comes in a range of colours making it perfect for team training or a walk on/scenario event. Celtic Rec is consistently round and the accuracy is second to none. Designed to suit any marker with no breaks in the gun performance. Celtic Druid has been formulated for the tournament paintballer. Its fragile metallic shell is guaranteed to break on impact releasing a no wipe distinctive fluorescent fill. Celtic Druid is designed for your tournament marker and has long range breakability. This 0.68 virgin gelatine paintball gives you the accuracy required and the performance in the trajectory that is needed to keep you at the top of your game. Don't miss out on this one! 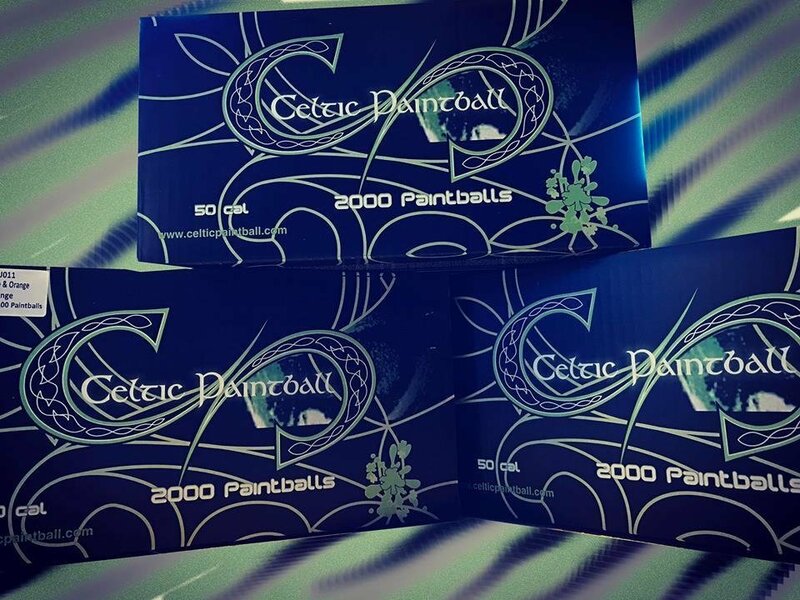 All Celtic paintballs are packed in branded boxes, and are halal, non toxic and biodegradable.